Download a demo version of The Cleaning System® directly from us and try it free of charge and non-binding, on your own PC. A little demo database is installed together with the program, with examples of how the program works in practice. To a limited extent, you can create, correct and delete new places. The installation file needs about 25 MB, and a minimum of 250 MB must be available on your PC, for the installation of the program. 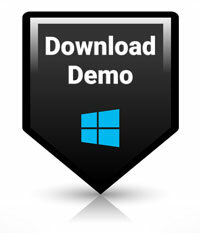 Complete the information on the Download a Demo page. We will send you the link afterwards where you can download the demo version. Remember, all fields with MUST be filled in! The program may be expanded with a handheld PC for quality measurements in the field. This solution will provide you with the ultimate tool for fast and easy collection of data used in the INSTA 800 quality evaluation. Once you have prepared your quality control parameters in the Quality Control Module of the program you can transfer all rooms to be controlled to your PDA. With your PDA you can start your inspection and enter your observations directly into your PDA. After the inspection is completed the Pocket PC is connected to your work station and all inspections are transferred to The Cleaning System. After inspection data is transfer back to the desktop, the software will then automatically calculate if the quality is above or below the agreed level.